Remember these first two modern maple blocks I made last year? I tried these blocks out and posted them in line with my turn of the around the world blog hop tour in November 2014. Well, my aim is to have 'October' (that's how I named the quilt) done in October this year. Meanwhile I have all blocks done and I'm really looking forward to have it finished! 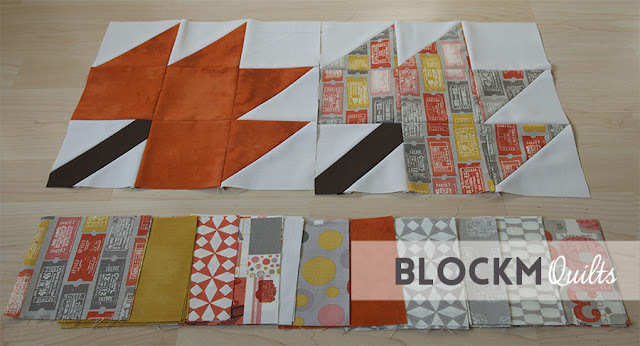 For the blocks I followed this tutorial by Amanda Woodward-Jennings. Besides the beautiful fabric collection Twenty Three by Cosmo Cricket for Moda I have used some autumn solid colours and used three different beige tones for the background. The beige tones are very equal and there is only a slight difference but I like it that way. The quilt top is almost finished and I also know how the quilt back is to look like. 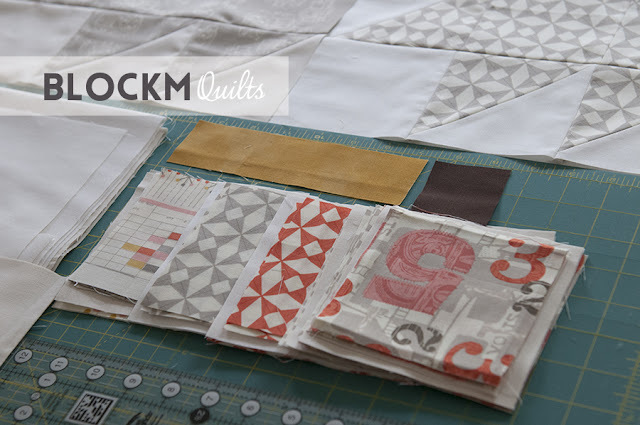 I have an idea for the quilting as well so it shouldn't take that long. So, off to the sewing machine now! Linking this to Freshly Pieced WIP Wednesday! Oh, I was a busy bee and it's ready to be quilted!! This fabric collection was an absolutely fabulous collection, and it's so fun to see it again! The solids really balance it out nicely, and I really like the tone variations in the background. I'm working on a quilt backing right now myself, and hope that since I am quilting with stright lines, that is will be a fast finish too! I bought the fabric so long ago...it's time for it being used! I like very much your colour scheme and the modern style of that collection. Looking forward to see this quilt finished ! Thank you, Sophie! I can't wait myself. 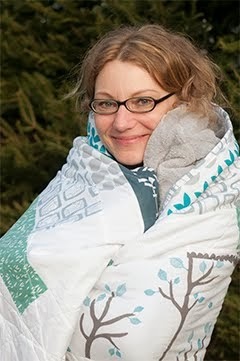 Super quilt, love the fabrics. 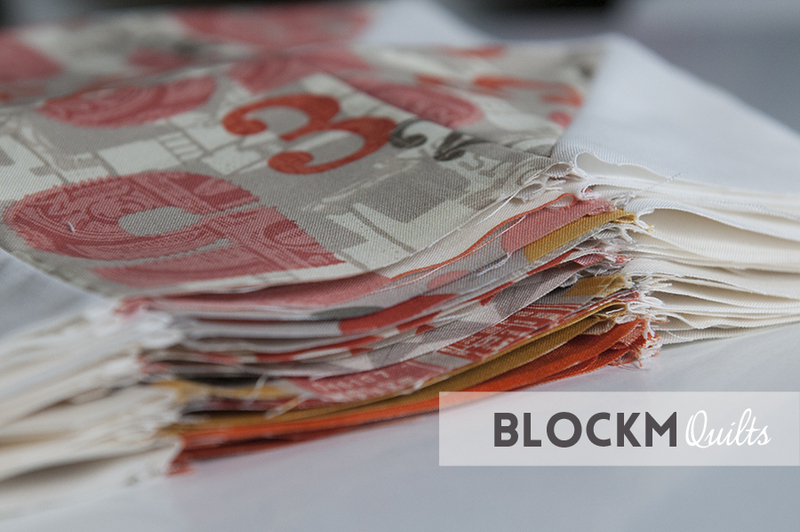 Looking forward to seeing the finished quilt! Oh me too, the cut pieces and two blocks were waiting far too long! Can't wait to see the finished top! 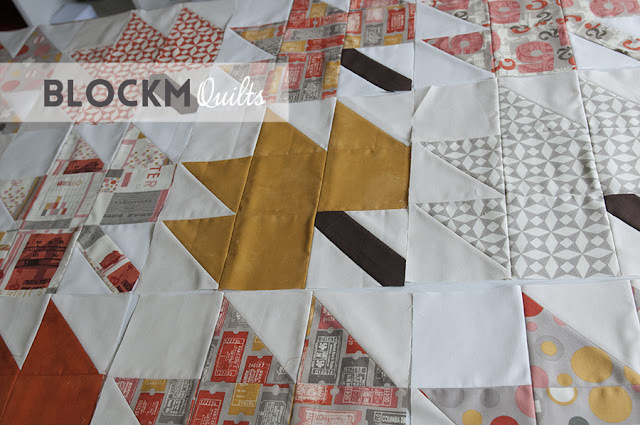 I have the finished quilt to show very soon! Modern maples quilt October - finished!